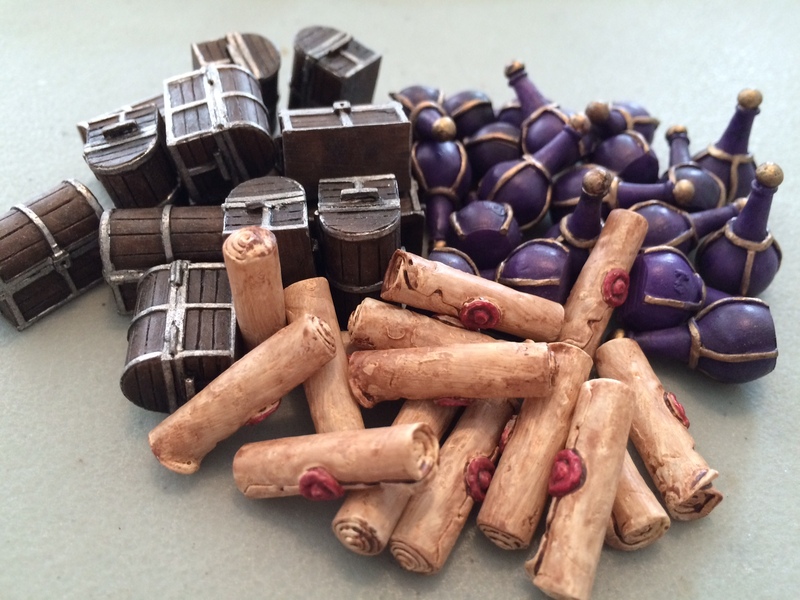 The tokens found in these treasure chests are now available individually from Top Shelf Gamer and from retailers worldwide who buy from Top Shelf. 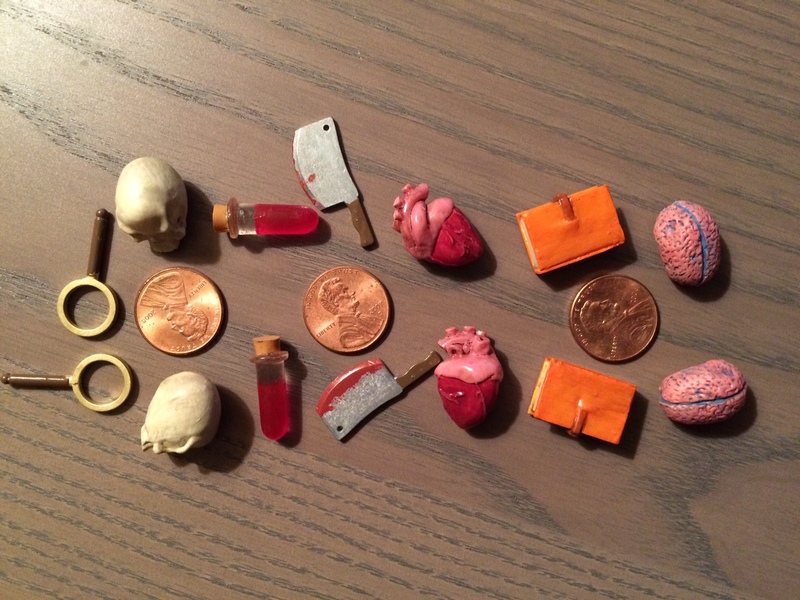 Most of the tokens are resin, and a few of them are made of metal (tool, cleaver, magnifying glass, and the axes). The token quantities are calibrated to match the most popular games that use these token types, as shown on this Google Doc. Estimated Delivery Date: We anticipate that the Token Trilogy & metal coins will be shipped to backers no later than November 2016. Limited Availability: We’re only going to make enough of these chests and coins to satisfy the pre-order demand (1500 minimum per chest). Updates: We will use the e-mail addresses we collect at checkout to update you on the status of the project during production. You can update your address at any time. 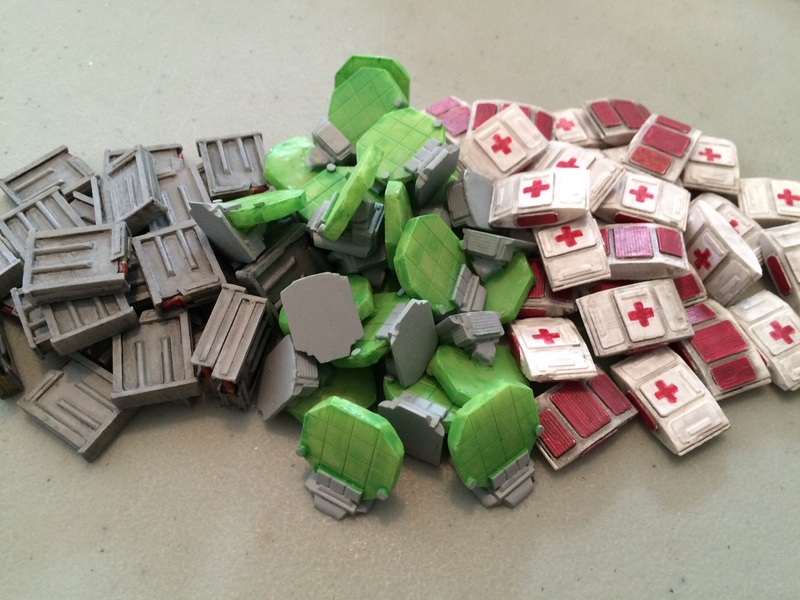 Expectations: These tokens are hand-painted, so there will be minuscule variations between some of the tokens. If that doesn’t sit well with you, these tokens may not be a good fit. Money-Back Guarantee: Within one month of receiving your rewards, you can send them back to us for a full pledge refund and return shipping fees, no questions asked. Why Not Kickstarter? 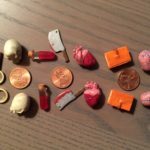 On this blog post I go into detail about why we’re running this pre-order campaign here instead of on Kickstarter. 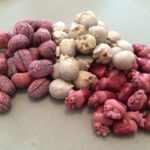 Our supply chain is based on creating one cohesive version of this premium product, making it affordable for you, and shipping it to you quickly and cost-effectively. 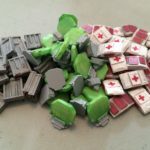 However, our friends at MeepleSource, Game Trayz, Top Shelf Gamer, and Board Game Extras will sell individual tokens at a premium price (~$1/token). 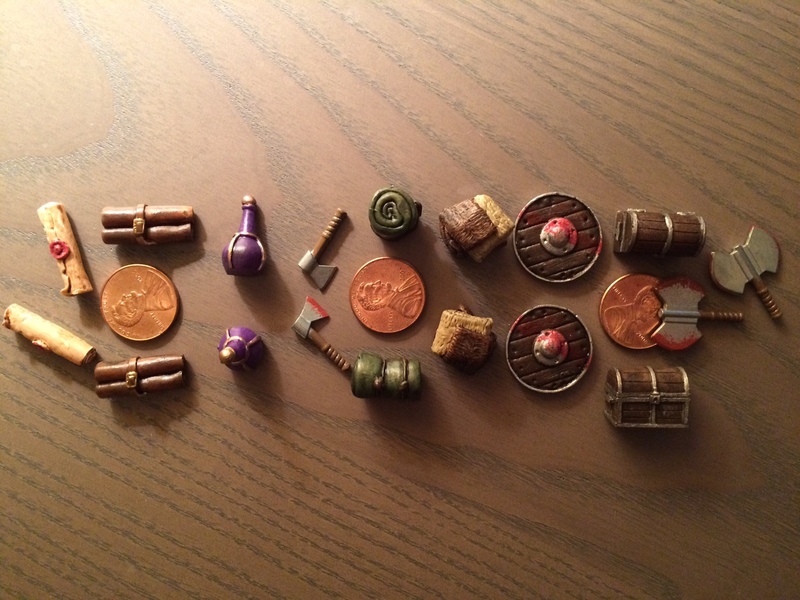 To talk about the realistic resource tokens, discuss ideas for future chests, and share photos of the tokens in use, please join the Treasure Chest Facebook group! If you’re not on Facebook, you can ask questions on this page or on Twitter. 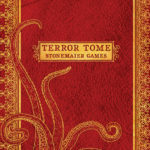 Private inquiries may be sent to Jamey at stonemaiergames@gmail.com. “as shown on this editable this Google Doc.” – “this” is written twice and should it not be “in this editable Google Doc”? 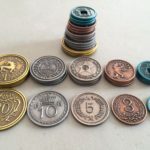 “Estimated Delivery Date: We anticipate that the Token Trilogy will be shipped to backers no later than November 2016.” – What about the Metal Coins? 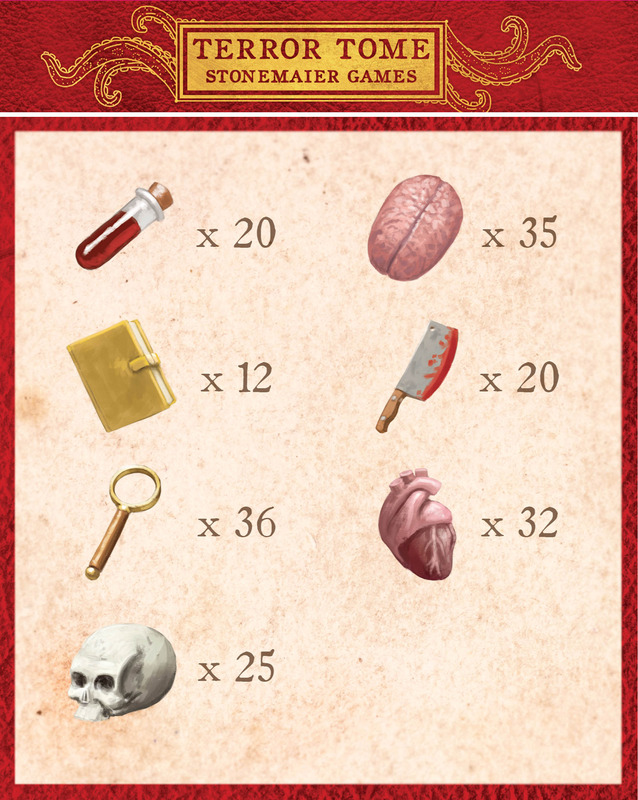 In the picture for the Scythe this list states values in $. Do the coins have $ sign on them? Thanks for the proofreading and questions! The metal coins will be delivered in November as well. In Scythe, the values are listed using the $ sign, but the actual iconology on each coin is different (see photo). I’d suggest a high res image for each of the five products with one of each token/coin type in that product. Morten: If you click on the sidebar images, you’ll see that they embiggen so you can look at them up close. But the photos only show three types of tokens for each of the token packages. E.g. 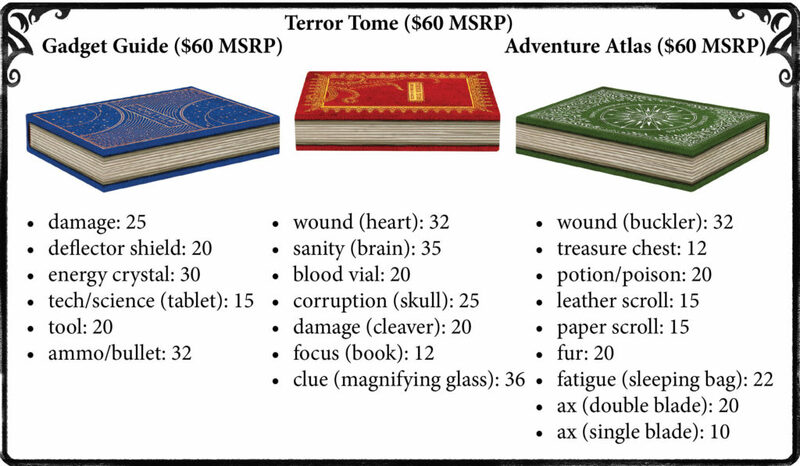 from the Adventure Atlas (https://stonemaiergames.com/wp-content/uploads/2015/11/IMG_5217.jpg) there’s (from what I can tell) no photo of the axes or the bucklers. 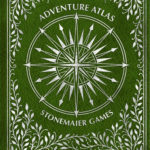 Instead there’s a drawing (https://stonemaiergames.com/wp-content/uploads/2016/04/adventure-sides-1-new-3.jpg) where they’re all included, but I think that a photo would be nice. Also there are no photo’s of the coins in the side bar. Yes, as noted in the ambassador update, “The page isn’t quite final–it needs photos of all tokens instead of just some of them”. The missing samples are arriving this morning, and I will update those photos before the campaign goes live. The coins have a big photo in the body text of the project page. Ah, sorry, I missed that in the ambassador update. Regarding the coins, then personally I’d like a photo with just two of each coin placed without overlap. One of each type should have one face up and the second should have the other face up. I have Scythe, so the coins are mine. 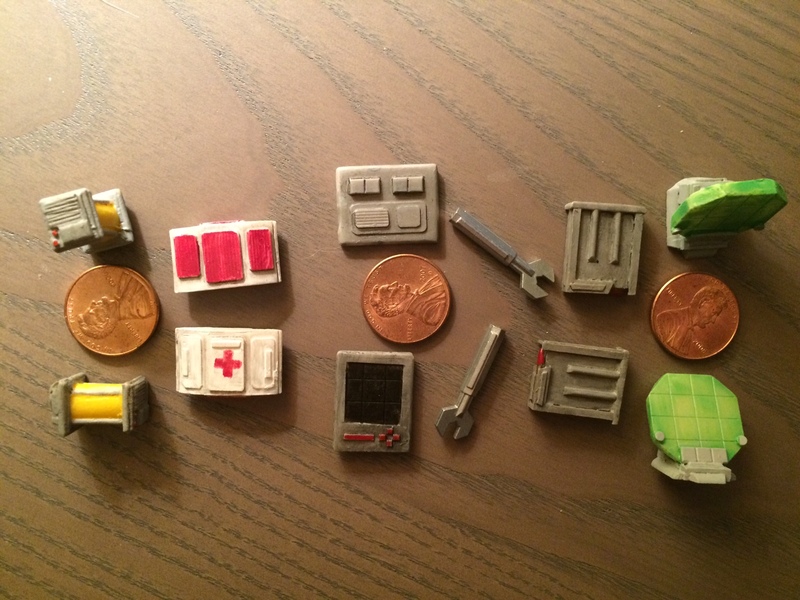 I don’t think I have any games that can use these resin tokens. The title of the pack is v. brilliant. High five. Wish the other treasure chests were available for cheap. Myself, I have enough games in the closet that I’ve only bought the tokens. I wouldn’t mind seeing a postcard set of the Encounter cards, with the text! A little bit. :) Beth works mostly from her imagination, but she does refer to some real-life objects and pictures too. really debating picking up the coins for another game, none of the chests interest me tho. It looks like the country select on the checkout system you’re using doesn’t work in firefox (It doesn’t for me anyway). Not a huge deal as it works in chrome, but wanted to let you know. Thanks for letting me know! I’ll look into that. Hey Jamey, I hope you did not answer this yet — But if I am interested in getting the metal Lira (brand new to Vitaculture) are you able to ship it with my Scythe kickstarter? Or would the logistics for that be too much of a nightmare? Thanks a lot! Jason: Scythe will ship to you in July, and this won’t ship to you until November. So no, they can’t ship together. One day I will learn to read… Thanks sir! It’d be nice to know what we’ll be paying before we actually have to hit “pre-order”. Could you list those prices on this page? Sure! I’ll add the prices to the images. Would it be possible to have a mix-and-match-any-3 option that retains the $99 price point for a set of 3 but would allow us to specify the sets we want? That would be useful for those of us who need multiple of some sets and none of others and are not particularly attached to the slipcase, which would save you money not having to print the slipcase while still charging the same for a set of 3 boxes! 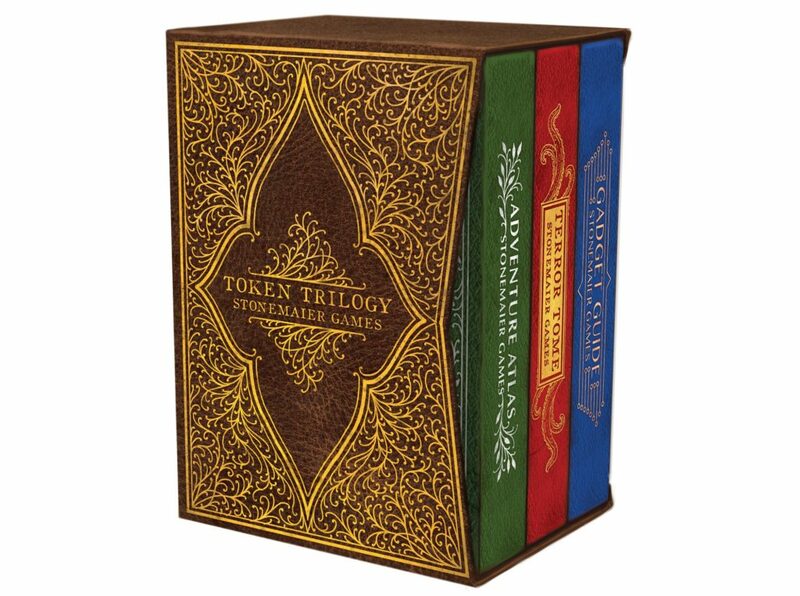 MentatYP: The full Token Trilogy is only for all three chests contained within the slipcase. It’s a single SKU, all shrinkwrapped together, so there’s no mix-and-match option. Was pleasantly surprised to wake up to 4 emails this morning about the coin reprint (3 from MeepleSource and 1 from Stonemaier). 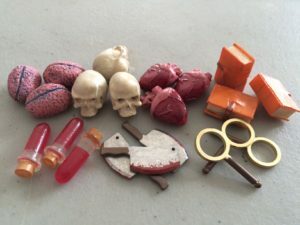 Ordered a set directly from your site! Angel: Thanks for your comment. These chests are considerably more expensive to make than the previous chests, and the slipcase adds additional cost. That said, it appears that you’re in Greece, where the shipping fee is $15, not $30. Perhaps you’re in a different country now? @Angel, shipping prices went up quite a lot this year, but I wouldn’t have expected it to go up more than 300%. We actually haven’t changed the shipping fees at all–there’s just less of a shipping subsidy built into the reward. The previous campaign featured a $10 shipping subsidy and a $9 added fee to Greece ($19 total), and the current campaign offers a $4 shipping subsidy and a $15 added fee to Greece ($19 total). In the future, just ask me if a number seems incorrect. It’s that simple. Fair enough, i didnt thought it was a mistake, sorry about that. Most shipping rate decisions are made by frostbitten bears and irritated reindeers. You can easily add a 5 oz. package to a 10 lb one and be bumped up to the next shipping tier. Pretty annoying, and small companies can’t do anything about it. Hello, I get an ‘unknown error’ when trying to pay via Paypal… is there anything I do wrong? Or does the Paypal connection contain errors? Nina: I heard that from one other person, but when he refreshed, it was able to work. You could also try a credit or debit card. Please let me know if it still doesn’t work! FYI – I’ve tried paying by PayPal twice now – first time it hung, second time got unknown error. Thanks Kristi! I’ll talk to Celery to see if they can identify the error. 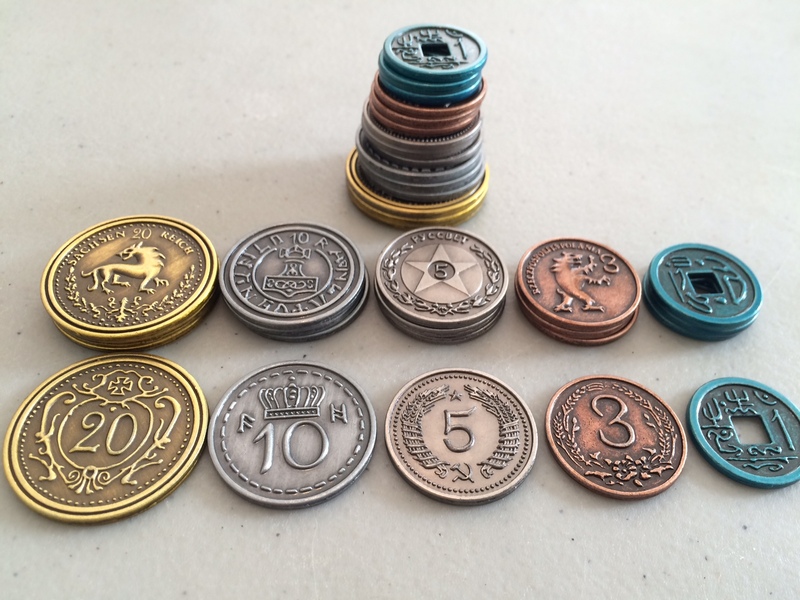 Do you have a scale pic of the tokens with a penny, dice, or miniature? I posted a link to the preorder on Dakka, a wargaming and miniature painting forum. 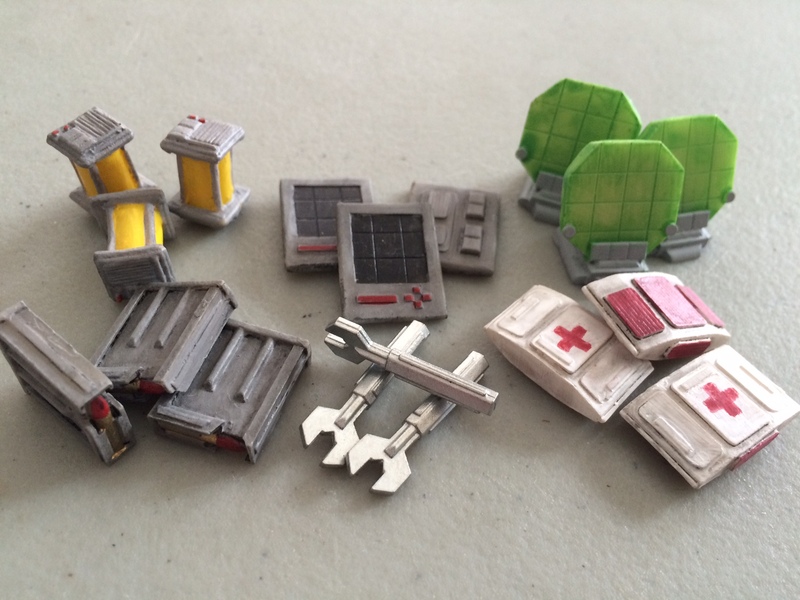 These tokens will make great objective markers and bits for miniature basing — no need to paint! Thanks for sharing it, Cedric! Are there some specific tokens you’d like in the photo for size reference? Good question. 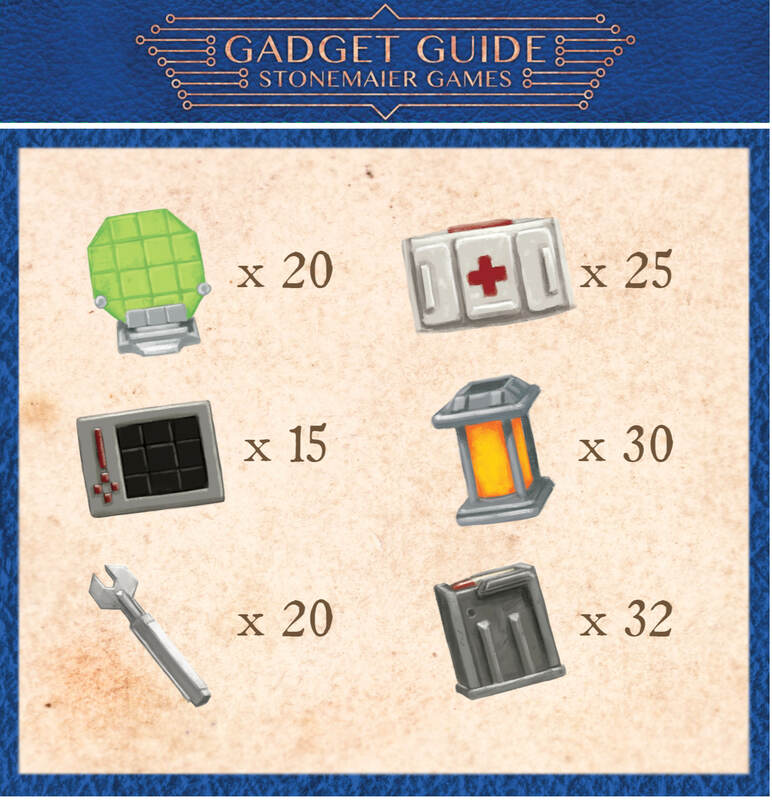 Maybe the weapons and chests, but I’m sure many sf gamers would be interested in scale of the gadgets. Thanks! Whoops! Just saw your pics with the penny in them. Thanks! This one isn’t on kickstarter? Nope! :) Just press the pre-order button at the top of the page. Ah, I just saw your blog post about this (link at the bottom of the page). Also, I had already ordered along with the coins. :) Looking for Viticulture and Tuscany in Canada. Tough to find. $80 each is cheapest I can find. I didn’t think I would like the game, but a friend got it and now it’s a must have. I should have known. I bought almost everything else you produced. I’m glad to hear you enjoyed Viticulture/Tuscany. Tuscany is out of print at this point, but retailers are currently restocking Viticulture, so you should soon have a much better price than that. Hitgames dot ca have Viticulture Essential Edition for $65 and Tuscany for $75. Plus their free shipping threshold in Canada is an insanely low $49.99. What happens in the unlikely and unfortunate event that you fail to make your minimum order quantities in pre-orders? Sablefox: Either way, we’re committed to making a minimum of 1500 copies. We’ll continue to sell the extra copies via pre-order (at a higher price than the campaign) and to distribution if needed. Ah, found the answer on your blog. I assumed you meant you needed 1500 orders to produce a chest, whereas you mean you are going to make at least 1500 of each. Right, I need to make 1500 of each chest. The box set contains 1 of each. Bought the three previous chests. Liked all the pieces, except the gems. 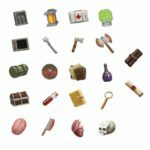 Not interested in any of the pieces in the new chests, but ordered the Scythe coins. Wish you would have completed the Puerto Rico pieces and made sugar and tobacco. I would love bar codes for all products if possible. This will allow us to set up efficient pre-order, and fast. The SKU is the second best choice. As always, thanks for your commitment to supporting the good ole; B & M stores. You set an example for others to follow. Will the viticulture coins, 5 Lira coin upside down error be fixed? 15 $ shipping to Germany is a little to expensive for my taste. Will the lira be available in german shops? The Moor visitors expansion I ordered at docsmagic.de arrived a few days ago. A similar procedure for the lira would be terrific! Mirko: The only thing I can guarantee is that the lira are only available directly from us (and retailers who support this campaign). 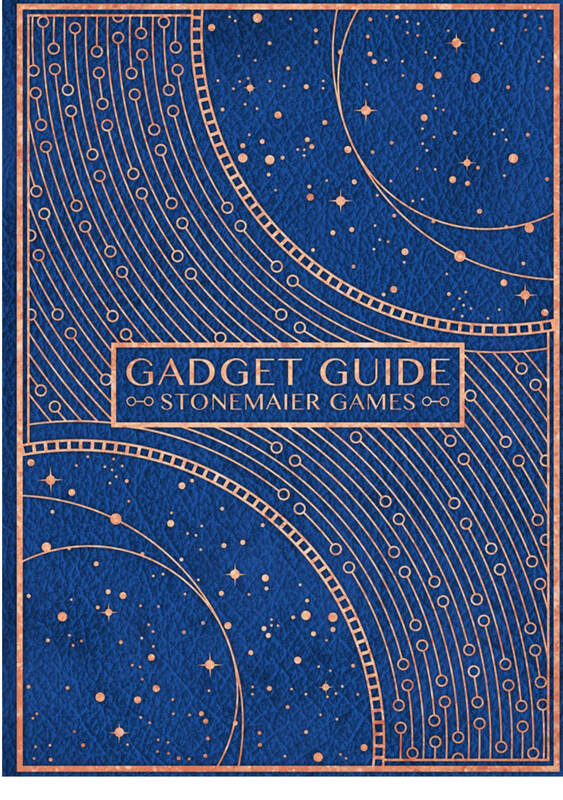 Ordered – thanks for this you’ve killed my KS budget for the next few months, worth it though. Can’t wait for these to arrive. I kickstartered and then added on a board for Sythe. Can we simply add to our previous orders without paying so much more in shipping for just coins? Thanks, just asking…. 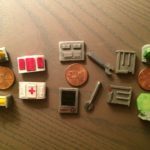 Daniel: Scythe ships in July and these coins and tokens don’t ship until November, so they cannot be combined into the same shipments. 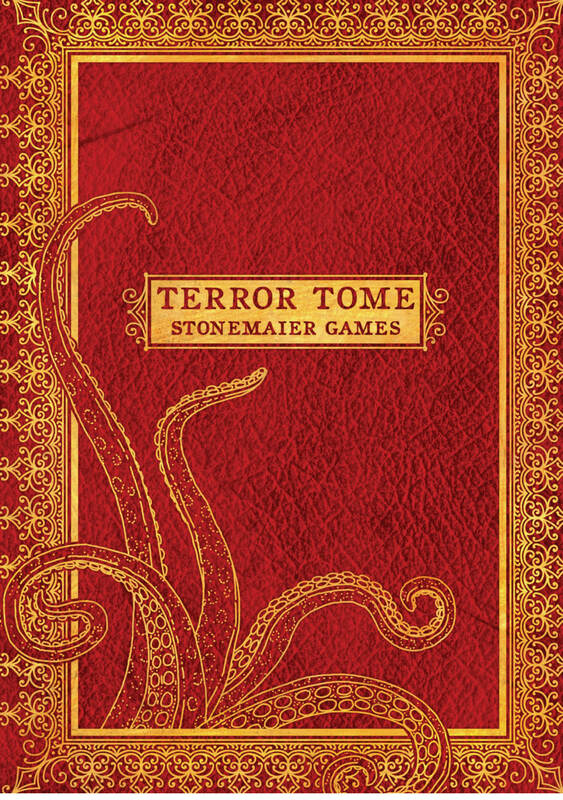 I’ve only come to know about Stonemaier Games since the Scythe Kickstarter, and I must say the quality of your products and your professionalism is incredible! Ever since, I have been trying to get all of your other games and accessories. 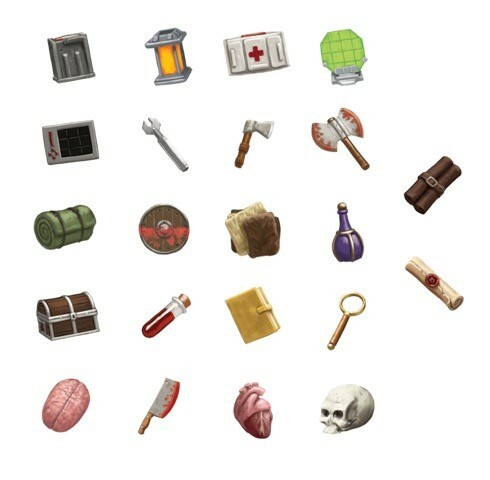 Question: Would there be a chance for us to get a slipcase to keep the previous 3 treasure chests (food, energy and resource)? Or would you be designing a storage box (or something along that idea) so that we can keep all of the tokens in one container? Sean: Thanks for your question. I’ve talked about that concept with backers in the past, and the problem is that it’s the opposite of cost effective to print and ship an empty slipcase. That’s why we haven’t done it and don’t plan on doing it. I am really impressed by the promptness of your replies. Meanwhile I guess I will just check back regularly for future developments. Thanks! Please can you add estimated size and weight (of the unboxed package) to the description? Thanks! Derek: I don’t know the exact weight yet, but it should be around 0.7 kg. Each chest measures 222x162x38mm each. Alan: I’m sure there are. Board Game Extras comes to mind (they’re mentioned on the project page). 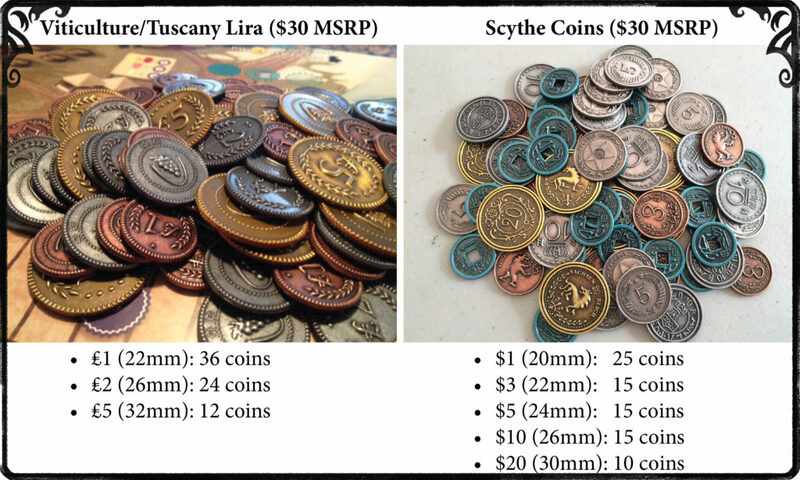 Is there any chance to pick up a Metal Lira coin pack and a Tuscany Essential at Essen Spiele this year? Thank you! Balazs: Our estimated delivery date is November, so probably not, but if we’re able to deliver early, retailers may carry it at Essen. Balazs: Indeed, it’s a totally separate project. The coins will arrive several months earlier than Tuscany Essential. Thank you, Jamey! Have you any estimated date for the Tuscany Essenial then? 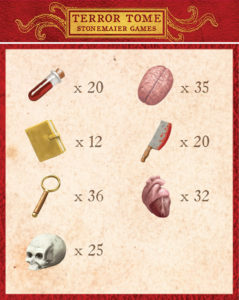 Looks like I’ll be using the tokens in lieu of the Massive Darkness wound track, and the coins instead of the experience track! 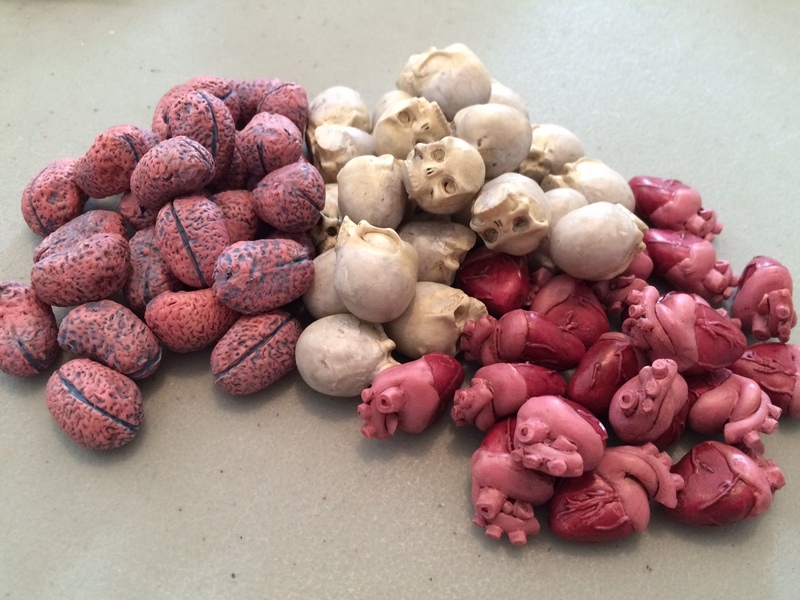 The tokens will also be useful to strew around my 3D Game Tile board as “dungeon decor” in the “lit” rooms. Thanks a bunch for the tokens and coins — and low shipping costs! Michael, all orders received are followed by an email confirmation from Celery. If you didn’t receive such an email, it probably means that there was a typo in the email you gave Celery, as we did receive your order. Huh that’s odd, never done that before but I suppose it could have happened cause I just checked again and nothing from Celery. Is there a way I can fix this problem to make sure all the other details are correct? (They likely are but now I’m worried) Any advice on how to proceed to check my order details would be very helpful. Thanks for your quick response as well. Just received an email with tracking from Richmond BC. 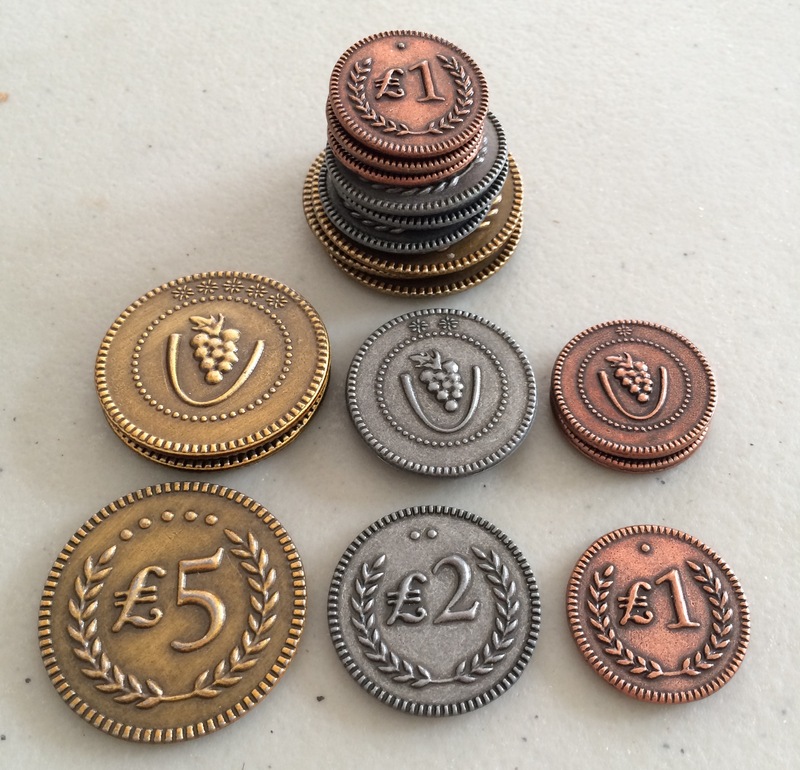 Could this be the Viticulture coins.. anticipation is killing me. I think that’s your coins! Hello, how would one go about buying some viticulture coins from you? I’ve only just stumbled upon your site, and am based in the U.K. Any options? Thanks and regards, nige. Nigel: Sure, check out some of the retailers in your area on this page–they will soon have them. I was just thinking that these should be coming soon. Will there be a shipping / tracking notice? Jamey, is it still possible to submit a order to purchase this? Not from us, but from a retailer who carries it in a few weeks. 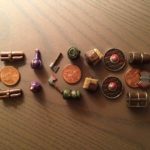 Have the Metal Lira Coins be sent to Board Game Extras in the UK? I ‘m having difficulty in getting a response on the status of my pre-order. Chris: The original pre-ordered batch of metal coins (for this campaign) was sent to Board Game Extras a month ago. If you ordered from them in November/December, you’re ordering from a restock that BGE is still waiting on. 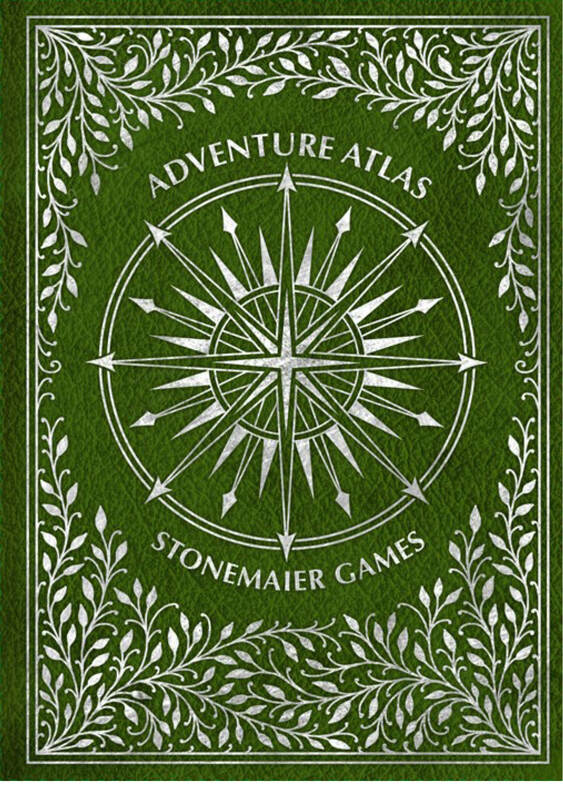 Finally opened the Adventurer’s Atlas for Xmas. GOOD JOB. The potions and two sets of scrolls are obviously too large for 28mm, but the other tokens are *very* good for 28mm. The fur piles will be great for orc and goblin bedding (they gotta sleep somewhere! ), and, afaik, there are NO miniatures for such things, unless you want to pay for unpainted metal $5 figures. 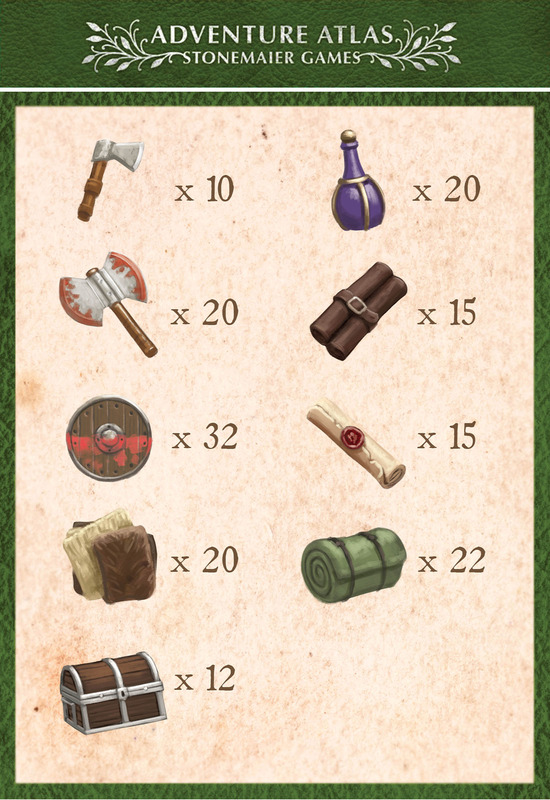 The bedrolls are useful for adventurer’s campsites, and tavern inn common sleeping rooms. 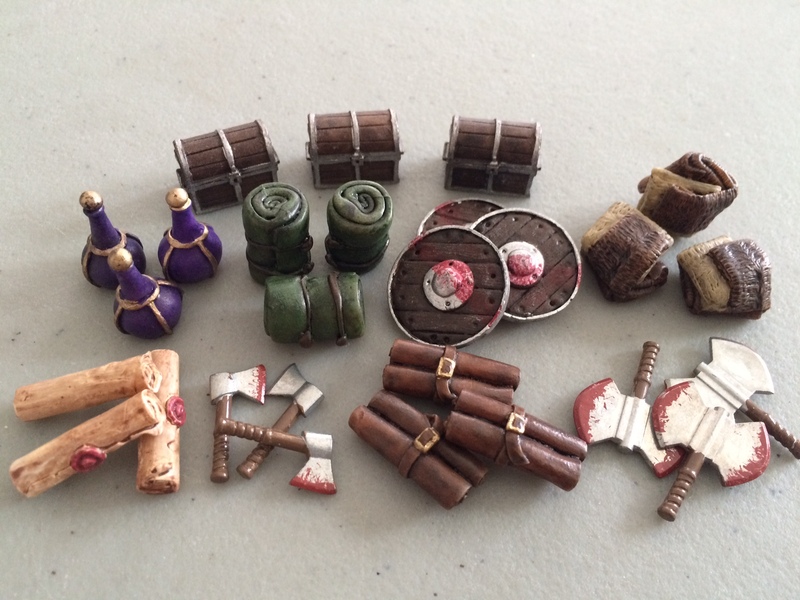 Chests, shields, and weapons are 28mm. 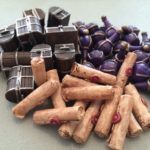 I think you should get some feedback from roleplaying gamers about the tokens. I don’t think you need two different scrolls, and should add swords. Too bad these are in low supply, because they’ll be useful for boardgames and RPGs, and are actually a good price compared to miniatures (which have an even lower print run and are unpainted, unless I can find a dollhouse miniature of a bloody axe!). Chris: Thanks for your question. 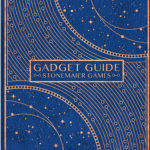 We received the latest reprint just a few weeks ago, and it’s not sold out yet–it’s in stock. If you tell the retailers you want them to stock it, they can definitely get it from distributors. Thanks! Are there a pack for Scythe game?